ORLANDO, Fla. —Several Orlando police officers are under investigation for not arresting a man armed with a gun at the airport. The man later pulled that gun on an innocent teenager and used it to confront officers on Kirkman and Conroy roads last Wednesday, police said. 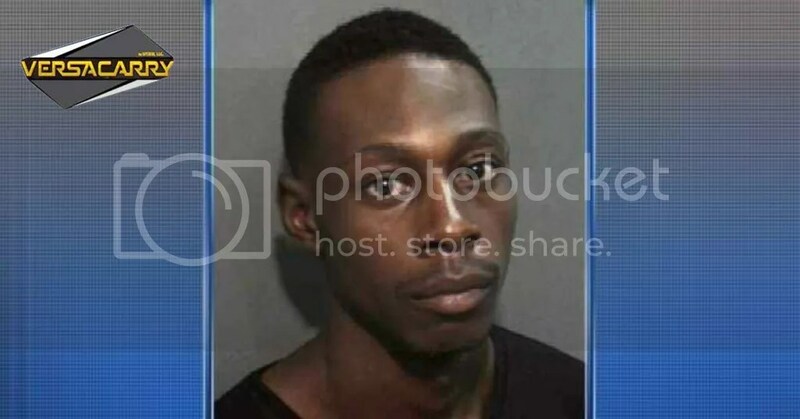 Officers found Marcus Darius, 25, at Orlando International Airport near the Oakley store at about 2 a.m. Wednesday with a loaded revolver in his front pants pocket. They found he had no concealed weapon permit, which would be a felony, but they didn’t arrest him. “It’s a shock. I don’t know why it wasn’t just taken off him when it was first encountered with the first set of officers. That’s the easy thing to do. He hasn’t got a permit, so he shouldn’t have it,” said passenger Chris Martin. The officers unloaded and took apart Darius’ gun, put it in his bag, and since he had no plane ticket, gave him a bus ticket. Seven hours later, TSA officers found him in an elevator in an area for employees. Another Orlando police officer was called, who said Darius would not allow a search of his backpack, and wanted to leave. The officer said Darius appeared to be mentally ill and was put on a Lynx bus. Later on, a third set of Orlando officers found Darius with the exact same loaded gun on Kirkman Road. They said he was hiding the loaded and fully cocked revolver behind his back while walking backward. Three officers demanded he show his hands, which he did while holding the weapon. Darius eventually followed orders and dropped the weapon. Police added a charge for carrying a concealed weapon with no permit after Darius was arrested for allegedly pulling the gun on the teenager. Darius is still in jail.